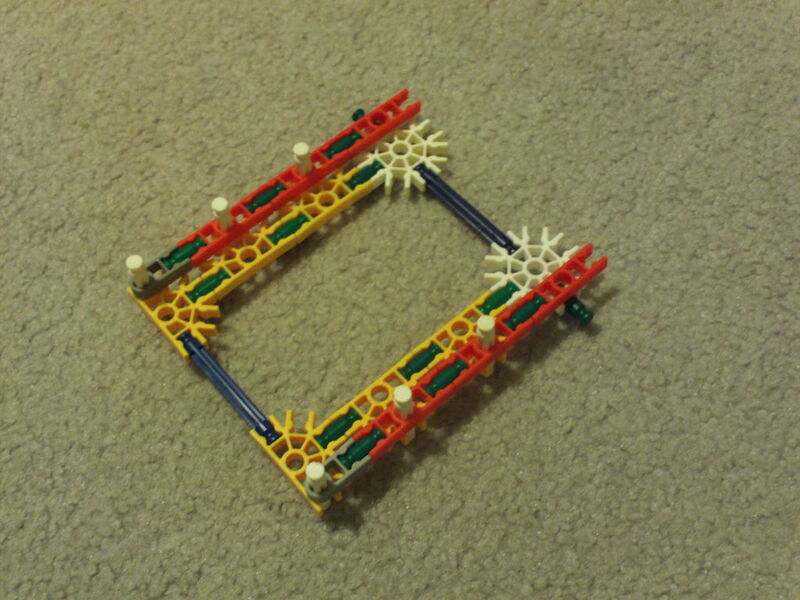 I had decided to make a k'nex slingshot rifle with a removable magazine, and by doing that i needed to find a way to load a single round into the rifle at a time, without making it semiautomatic. Which meant the rifle needed a bolt which is what i designed. I am only posting the mech because i had to disassemble the barrel, stock, and trigger to work on another rifle, so, the barrel, stock, and trigger are up to you guys, post pictures and ill add them on the last step of this instructable so other people can get ideas. - The mech has to have a correct contrast of rubber-bands to work well. Majority of the internal mech and one side panel (clearly), I will explain rubber-band placement and inserting the magazine on the last step. Rubber-bands and inserting the magazine will be described on the last picture. how do you load the mag. The rubberbands catch upon the connector ends to shoot, yellow rods don't work. Meh' make the barrel longer, and the mag. The bigger the better. I'm really interested in this mech but I don't quite understand it. Could you please explain it more or take a few pics so I could understand it more? I've been trying to make a mech for a while and i think this is it. I'd really appreciate it. its a sling shot style rifle, so make the barrel in comparison to your bands, for the trigger mech make a simple ratchet, and just throw together a nice looking stock...you can just look stuff up, i didnt feel like including the other things because if ound them easy to make, sorry for the late response. Pure awesomeness! 5* and a sub! I've searched and tried such a mech for months! 2. when the mag is inserted, the ammo doesnt quite reach where the bolt is.